*Update:* The winner is… Gloria. Congratulations! You’re going to love this book. Send me an email to claim your loot! I met a woman named Elana not too long ago. We met in a hallway of a hotel at a conference and as soon as we met I felt like I had known her for a long time. I just stopped going where I was going and sat on the couch in the hallway with her and we chatted. And by the end of it, we gave each other a copy of our books. She has an excellent blog called Elana’s Pantry, where she creates all kinds of gluten free recipes that are simply delicious. I grew up with a family that always ate really simple healthy food. My mom always promoted holistic medicine and taught me how connected food is to our health, in mind, body and spirit. 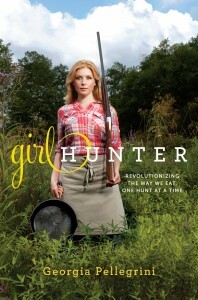 So I relate to and love Elana’s approach to food. In fact, I realized after talking to some of my gluten free food blogger friends that I tend to naturally eat gluten free. Most of the recipes on this site are in fact gluten free because I just wasn’t raised with much of it in my diet. Vegetable protein and animal protein were the name of the game. And I still think it’s the best food to eat. But I can appreciate a good dessert and a good bread from time to time and am so impressed with people like Elana who can do it all gluten free and still make it taste good! 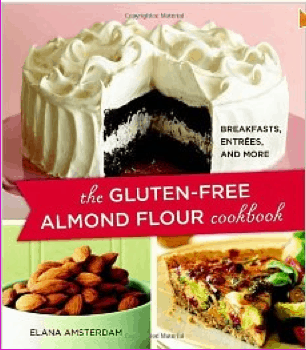 So in honor of that, and in honor of the upcoming holidays where we all have gifts to give, and cakes and breads to eat, I’m giving away a copy of Elana’s latest book “The Gluten Free Almond Flour Cookbook.” You’ll love it. And your gluten free friends will love you just a little bit more when you make these recipes. So will all of your friends in fact. 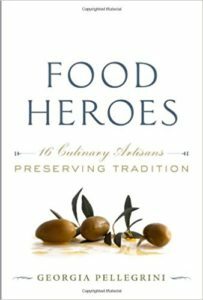 To enter the giveaway for this book, simply answer in the comments below: What’s your favorite holiday food? You get bonus points if it’s gluten free! Contest ends Friday at 5pm PST. Preheat the oven to 350°F. Grease a 7 by 3-inch loaf pan with grapeseed oil and dust with almond flour. In a large bowl, mix the almond butter and olive oil with a handheld mixer until smooth, then blend in the eggs and agave nectar. In a medium bowl, combine the almond flour, arrowroot powder, salt, and baking soda. Blend the almond flour mixture into the wet ingredients until thoroughly combined, then fold in the olives and rosemary. Pour the batter into the loaf pan. Bake for 45 to 55 minutes on the bottom rack of the oven, until a knife inserted into the center of the loaf comes out clean. Let the bread cool in the pan for 1 hour, then serve. To make a great base for hors d’oeuvres, cut this loaf into thin slices, spread on a baking sheet, and toast in the oven at 350°F for 5 to 10 minutes. The resulting crackers are great with goat cheese, drizzled with a good cold-pressed olive oil, or spread with fig tapenade (find the recipe on my blog). My favorite "holiday" food are the king crab legs my family has every new years eve! It's a major splurge and I look forward to it every winter! My favorite holiday food is bulgar salad. I make it every year for the holidays. Its light and filling and goes with anything else I am serving.The lemon and parsely really goes well. I always get lots of satisfied company! I love ginger snaps. 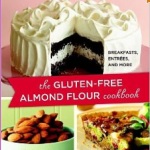 And since I recently became gluten-free, I found a recipe to make them that includes rice and almond flour. I brought them to a dinner and nobody could tell! My sister recently (within the last year) found out that she has Celiac's… this would be an awesome gift for her… and my favorite holiday food are cookies.. havent' tried them gluten-free yet. My very most favorite holiday food is turkey gravy on a slice of bread. It's what I eat for dessert after Thanksgiving dinner. It's not gluten-free, but I wouldn't want ever to be in a position to have to say no to its utter deliciousness. That olive bread looks amazing. Sure looks good. Wish I had a gluten free recipe to send in. My favorite is our Christmas eve dinner: Fondue which is naturally gluten free with Joan's Great Bakes Gluten Free Italian Bread along with fresh apples, pears, grapes, and Clementines. We enjoy this with a nice French red in the den by candlelight and in front of the fireplace. Btw, the Olive, Rosemary bread looks amazing! Going to try it this weekend. We have potato soup every year for Christmas eve. My teenaged daughter was diagnosed with MS this year, and she started a gluten-free, sugar-free, dairy-free diet…not easy for a sugar addict! The brownies from Elana's Pantry saved our Thanksgiving!! They are incredible….we have all-out battles in our household over them!! My favorite holiday food is pecan pie and I have a wonderful gluten-free recipe (I like it better than the traditional recipe that I used to use!) Thanks for the chance to win! 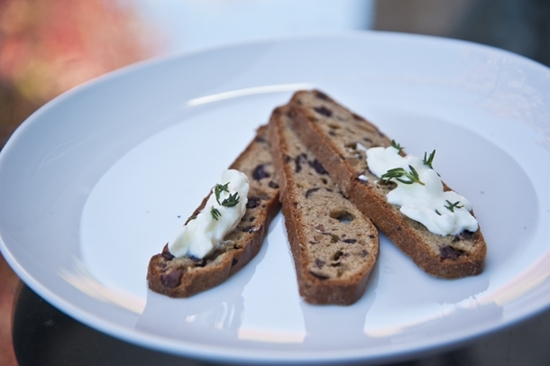 Oh wow, gluten free Rosemary bread, that looks yum! My favourite holiday food is baklava apples, I found a recipe for it after searching for a gluten free version of baklava. Basically you core an apple and stuff it with with chopped pistachios and other nuts mixed with cinnamon, cardamon and crushed cloves, drizzled with honey. Pop it in the oven and bake it. Heavenly, and with the spices, it tastes of christmas too. My favorite holiday food is also a family favorite, our Pumpkin Pudding. I started it when my children were toddlers and now they're grown, I'm retired and still we have the Pumpkin Pudding. More recently I have made up versions that are sugar-free and dairy-free for family and friends with those dietary issues. It is naturally gluten-free. My favorite holiday food would have to be our family's sugar cookies, which have been gluten free for several years now. Elana's blog is great……thanks for offering her cookbook in a drawing. 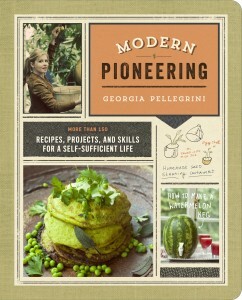 I don't have it yet…it's on my wish list! My mom makes these cookie bars called hermits. They're all cinnamoney and molassesy and nutty and full of oil and corn syrup and sugar. And the icing has mayonnaise. Cranberry relish is my favorite! Oh…there are so many amazing things I love….mostly however is gingerbread. I recently stumbled upon a coconut flour version that is delightful especially with a spicy butter cream on top! Yum!! My favorite holiday food is cookies. I'm going to be trying some gluten free ones for this first time this year! fresh cranberries, tossed in salads, sweet and savory grain dishes…so many uses! Our Christmas tradition is the serving of a standing rib, seared to keep in the tender juices and slow cooked to perfection. Even if nothing else were served along with it, I'd be in heaven. My favorite holiday food is cioppino, which we usually eat on Christmas Eve. And also mashed potatoes, I love good mashed potatoes – no gravy necessary! My favorite holiday food is Almond Bread stuffing and Chocolate bourbon balls. Pumpkin Pie is on the top of my list, yum!!!!! That olive, rosemary bread looks great . For a holiday snack or anytime. my family loves Elana's chocolate chips. they rock! their gluten free and healthy, plus their easier and faster to make than chocolate chip cookie recipe that i have tried.!!!!!!!!!!!!!! I love making coconut flour cupcakes! Pierogi's our Ukrainian roots go deep with this one. All the woman of the family sit together and make these every Xmas eve. Favorite time of the year! Homemade chocolate chip cookies. And since becoming gluten free – Elana's chocolate chip cookie recipe is AMAZING. My favorite holiday treat is peppermint chocolate bark; so wonderfully rich and delicious! hard to keep around the house!. Thanks! Vanilla kipferln (crescent-shaped almond flour shortbreads dusted with icing sugar) are my favorite holiday treats. I'd love to win a copy of Elana's book, as I'm trying to go gluten-free in the hopes it will improve my chronic fatigue syndrome. My favorite holiday recipe is chocolate scones especially the one from Elana's book. My favorite holiday food(s), may change from year to year. Any foods/meals that nourish my body and soul! My favorite holiday food is more of a favorite fall time food, but I usually only drink it on holidays now – Hot Apple Cider. I like making my own mix of spices to boil in the juice. And – a new one that we added this year due to my sister and I both going gluten free this year – Wild Rice stuffing – made with a mix of wild and brown rice, shallots, cherries and pecans! Heavenly! My favorite holiday food is — any outstanding gluten free chocolate dessert! My favorite "holiday food" is TURKEY and cranberry sauce (made with honey, not sugar). YUM! I also made grain-free stuffing for the first time this year and it was delish!!! My favorite holiday food is my mum's Party Chicken. It is a large free-range deboned roasted chicken stuffed with bacon, onions, pistachios, herbs and fresh breadcrumbs. This year we are making it with my homemade naturally gluten-free slow fermented sour dough breadcrumbs as I have been gluten and dairy free for 12 months. I've never felt so healthy in my life! I love your website and I'm addicted to Elana's Pantry as well. Thanks for all the awesome recipes! Happy holidays! Hey! I just saw your write-up in Foodepedia. Pretty Cool. I'm not a big fan of gluten-free, but I love rosemary. I love my husbands sugar free (Agave) pumpkin pie…it would be even better with a gluten free crust. My son-in-law and grandson are on gluten free diets.